A defined benefit (DB) plan is a retirement plan where the participants' benefits are defined by the terms of the plan document. Participants' earnings and/or years of service are often taken into consideration in the definition of benefits. In a DB plan, the benefits are known (since they are defined), but it is generally up to the plan sponsor to contribute and invest the necessary money to pay out the final benefits. DB plans are subject to government regulations that typically require certain work to be certified by an Enrolled Actuary. A defined contribution (DC) plan, such as a 401(k) profit sharing plan, is not subject to these same Enrolled Actuary requirements. In a DC plan, the contributions are known, and the final benefit, which is generally subject to a participant's investment selections, is unknown. A traditional DB plan generally defines a benefit in terms of a monthly amount that will be a recurring benefit at retirement age. A cash balance plan generally defines a benefit in terms of a hypothetical account balance, which essentially equates to an immediate lump sum amount that will be payable all at once. Note that even though the benefit is initially defined differently, a lump sum benefit can be payable under a traditional DB plan, and a monthly benefit can be payable under a cash balance plan. Regarding the cons of a defined benefit plan, it is also true that that a plan costs money to establish, maintain, and terminate. However, the fees of the actuary and other advisers are often outweighed by the immediate tax savings, even when taking into consideration the amount of money contributed for non-owners. If the costs to maintain the plan were projected to be greater than the immediate savings to the owners, then it would generally not be recommended to establish the plan in the first place, unless the plan sponsor still wanted to establish the plan for other pros listed above. If traditional defined benefit and cash balance plans share many of the same pros and cons, what's the point of selecting one plan design over the other? Since the lump sum amounts are defined in a cash balance plan, there are generally fewer surprises on a year-to-year basis in terms of total plan lump sum liability. In a traditional defined benefit plan, since the lump sum values of the defined monthly benefits are generally calculated based on interest rates that vary each year, it is harder to accurately project total lump sum liabilities. This has the potential to create unwanted surprises. If a plan sponsor's goal is to keep the plan funded in relation to the total plan lump sum liability, that goal is generally going to be easier to budget under a cash balance plan (because the lump sums are going to be more predictable from year to year). Also, since a cash balance plan defines the lump sum amount instead of the monthly benefit amount, a cash balance plan makes it easier for participants to understand what the lump sum value of their benefit is going to be from year to year. So the lump sum liability in a cash balance plan is generally easier to both predict and understand for not only plan sponsors, but for participants as well. The points above tend to favor cash balance plans. However, traditional defined benefit plans have their place as well. Sometimes a plan sponsor might be more interested in establishing a plan that defines monthly benefits. This might be the case for a plan sponsor that is establishing a plan to reward a core of long-term employees who are looking to retire and draw predictable monthly benefits in the near future. Perhaps keeping the plan funded on a lump sum basis is not a concern to a particular small business owner. This might be the case for someone like a sole proprietor with no employees, since he or she is generally going to be receiving all of the plan assets for himself or herself anyway, regardless of the funding level. Traditional defined benefit plans are often cheaper to establish, because the IRS allows for traditional defined benefit plans to use pre-approved prototype or volume submitter plan documents. However, the IRS has announced that it intends to allow cash balance plans to do the same in the near future, so this point will eventually be out of date. Ultimately, since there is a wide variety of plan sponsors, there is a wide variety of potential defined benefit scenarios. 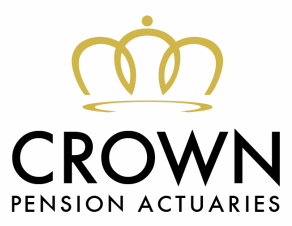 Crown Pension Actuaries is here to help guide plan sponsors and potential plan sponsors through the technical world of defined benefit plans, seeking to design plans based on plan sponsors' goals.